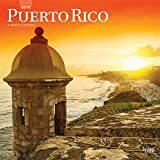 Calendar Puerto Rico in English and Spanish, including the Puerto Rican holidays. Printed on heavy stock paper. 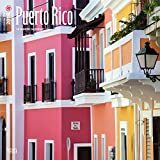 From Old San Juan with its 16th-century monuments and elegant plazas, to white sand beaches and rainforests, Puerto Rico is a land of fascinating history and great natural beauty. This stunning Puerto Rico wall calendar guides you around what the native Tano people called Boriquen, or the land of the great lords.